You Are Here: Home > Why Buy From Headquarter Mazda? At Headquarter Mazda, we are committed to providing our customers with automotive solutions. We provide each and every one of our associates with growth opportunities so that they can enjoy a successful career and fulfilling life. Our dealership values pride, respect, optimism, and integrity to ensure our customers receive the highest level of customer service. When you trust us with your automotive needs, you can expect a top-notch dealership experience every time. 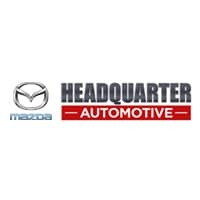 Headquarter Mazda consists of a team of highly motivated professionals who are dedicated to providing automotive solutions for families, customers and our community. We are honored to provide growth opportunities for our associates and persevere with pride, respect, optimism, and integrity to the highest levels of our industry. Price Protection Guarantee – If you find a better price anywhere else, we will pay you the difference plus 10%*. Home delivery services available for sales customers. Headquarter Mazda customers enjoy free car washes for life. Convenient Parts and Service Options open 6 days/ week. We offer loaner vehicles for service customers. We’re a brand new, state-of-the-art, and certified LEED dealership. We pride ourselves on a no-hassle, no-pressure, and transparent selling environment. Our product specialists are all Mazda Certified. Our managers are involved in every step of a customer’s interaction with our dealership to ensure customer service that exceeds expectations. An exceptional customer experience is the responsibility of associates in every situation. It’s important to be a positive ambassador inside and outside of Headquarter Mazda. Appearance, language, and behavior should all be used to make a professional initial appearance. All assigned training must be completed in order to learn and grow in the automotive industry. Maintaining a clean and safe work environment is every associate’s duty. It is every associate’s responsibility to support and meet company goals. Handling customer issues with prompt and courteous resolutions is crucial to keeping every customer that steps foot in our dealership. Associates must be a part of all aspects of a customer’s needs and use good eye contact and genuine smiles to engage all customers. Areas for continuous improvement are the responsibility of each associate. 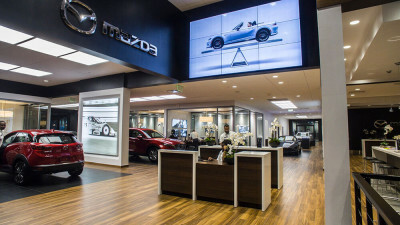 Teamwork, cooperation, and engagement in an enjoyable work environment all contribute to Headquarter Mazda’s success. We are pleased to offer our customers with a diverse array of new, used, and certified pre-owned vehicles. Whether you’re searching for a brand new SUV or a slightly used sedan, we have you covered. Our sales team is available 7-days a week so that you can browse our inventory at a time that works best for your schedule. Our team of qualified service technicians is here to help you maintain or repair your Mazda. From simple services like oil changes and tire rotations to more complicated engine repairs, our technicians have the skills and cutting-edge equipment to keep your vehicle in tip-top shape. You can schedule a service appointment online from the comfort of your own home and our technicians will be ready for you when you arrive.